Matt Kaip has been involved with curling as a curler, a coach, an official and as an administrator most of his life. He began curling at the Minton Curling Club in 1952 and has been a member of every curling club in the communities that has life has taken him. He has been a member of the Regina Wheat City and Tartan Curling Clubs. He has also been a member of the Wolseley, Swift Current and Prince Albert Curling Clubs. Matt was not just a member of these clubs he was always active as a curler and volunteer. He served on the Board of Directors of the Tartan Curling Club from 1969 to 1976. In 1974/75 he was on the committee that oversaw the renovations at the Tartan. 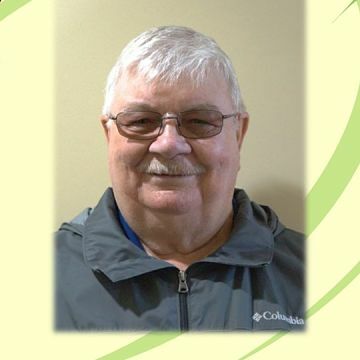 He served on the Board of Directors of the Prince Albert Curling Club from 1976 to 1984. While in Prince Albert he was the Assistant Chairperson of the Canadian Mixed Curling Championship held in 1984. He also served on the Board of Directors of the Lumsden Curling Club from 1984 to 1991and Chaired the Provincial Scotties Tournament of Hearts when it was held in that club. Matt began his coaching career in 1972 when he established a competitive curling program at the Wascana Institute now known as Saskatchewan Polytechnic Institute – the same year the school opened. Matt coached the men’s, women’s and mixed curling teams for five years. His Teams won the Provincial Championship twice and competed at the Western Canadian Championships. In 1987 Matt became the Provincial Curling Coach for the Saskatchewan Curling Association (SCA), a position he held until 1989. In that position he served on the first National Committee for Rules and Enforcement and helped create guidelines for curling officials. He also participated in the SCA’s Summer Curling Camps, assisting with both coaching and administration of the program. In 1987 Matt started volunteering as a Curling Official. He has officiated at many provincials as well as National Events, attaining a Level Four designation in 1990. He officiated at the very first Continental Cup in Regina and at the 2001 Olympic Trials also held in Regina. As a Level Four Official he conducted many clinics to Certify Level 1 and Level 2 officials across the province. Matt was also involved with Baseball and Fastball both as a player and a coach for many years and has been involved with a number of service organizations in the various communities in which he lived. The Committee is pleased to welcome Matt Kaip into the Legends of Curling Honour Roll in the Coaching and Officials Category. Congratulations Matt!